The honey extractor is a simple mechanical device used for the extraction of honey from honeycombs without destroying the combs. The extractor works by utilizing centrifugal force, a drum containing the frame basket spins and flings the honey out of combs. There are other methods to extract honey from honeycombs, but they mostly destroy the comb. An advantage of using honey extractor over other methods of extracting honey is that the comb remains intact so it can be reused. If you are considering getting one, there are so many brands on the market that it can be hard to choose. Here are our top 5 honey extractors available on the market today. 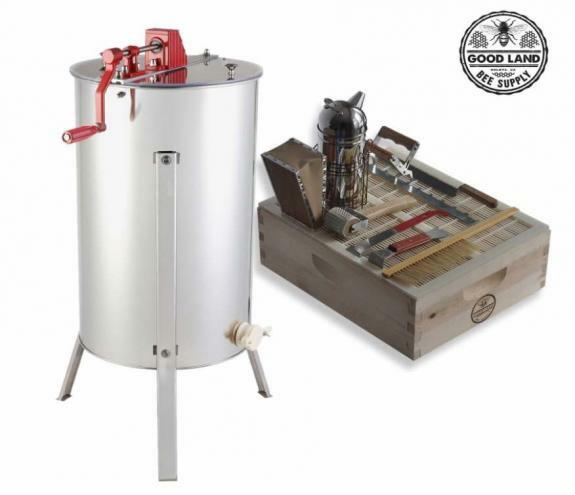 The Goodland Bee Supply 2 Frame Honey Extractor comes from a brand with a good reputation among the beekeepers. Goodland Bee Supply brand is popular for its good quality products, and this honey extractor is not an exception. The unit can accommodate up to 2 deep, medium, and shallow frames at once. Its characteristics include sturdy build, easy cleaning, comfortable wooden handle, long extraction needles for maximum extraction, ability to spin fast, and the affordable price. Additional accessories (bee smoker, frame spacer, frame grip, uncapped roller) will help any beginning beekeeper which makes this unit an excellent option for anyone thinking about starting to keep bees. If you have missed some places with the hot knife, the uncapping roller that comes with the unit will come in handy. Some users would like it to have a gear to slow down the spinning when they want to stop it. The Hardin Professional 3 Frame Manual Honey Extractor is well worth the money. The stainless steel build ensures durability and rust free unit, while plexiglass lid on top allows monitoring of the extraction process. The unit can hold up to 3 deep, medium, or shallow frames at once. Stainless steel design enables easy cleaning with warm soapy water so taking care of the product is easy. It comes with an optional stand or leg and a steel gear construction with sealed bearings. Be careful with sharp edges on legs as you can injure yourself. Also, some users found legs too short and had to raise the unit to be able to fit their bucket. An excellent feature for any user is that it is provided with a lifetime warranty, so you can return it if you are not satisfied with it. It is worth every penny. 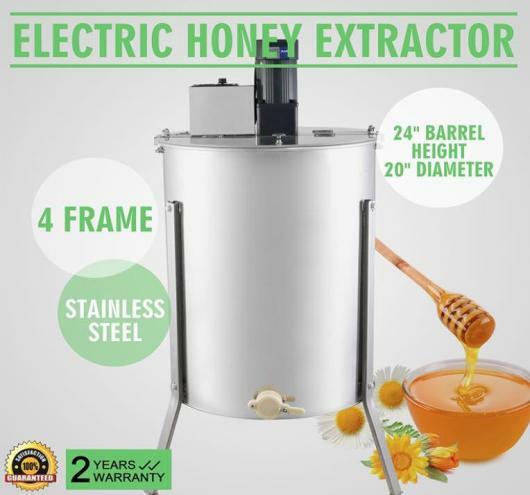 The OrangeA 4 Frame Electric Honey Extractor is specially designed for experienced users needing maximum efficiency, convenience, and versatility. The unit can handle up to 4 frames at once, and slightly rounded inner honeycomb mesh prevents the breakage of honeycombs. The noise from the motor running is not loud, and the honey is extracted quickly which makes it perfect for anyone with a lot of hives. Two clear Perspex lids enable monitoring of the extraction process and keep the debris out while the honey is draining. The unit uses high-precision bearing which provides higher rotation speed and longer service life than the ordinary honey extractor. A common complaint among the users is that they have to raise the unit with bricks to be able to fit the bucket. The assembly is quite easy and should not give any problems. 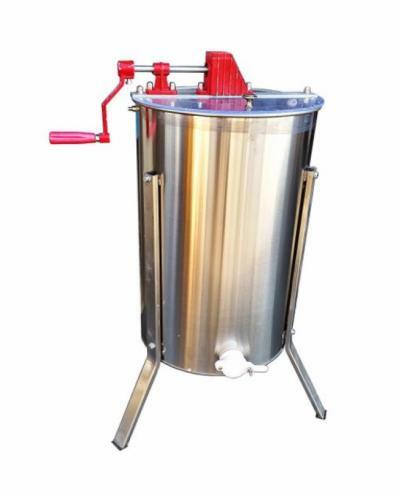 The Best Choice Product 2 Frame Stainless Steel Honey Extractor is an affordable product with good performance. The stainless steel construction allows easy cleaning so taking care of the product is quite easy. The baskets can hold up to 2 frames at once allowing to get as much honey as possible. The great news is that this unit comes with good instructions, so it is quite easy to use. The product is designed for beginning and casual beekeepers looking for a decent product at affordable price. Many users praise the unit for the double-sided clear lid and the solid metal crank which provides smooth and reliable turning of the drum baskets. Some users found the over build quality lacking and had problems with the packaging. Moreover, the legs have some pretty sharp edges so be careful around the unit. Overall, users looking for a decent extractor at a low price will find this product to be a great option. The Honey Keeper Pro 2 Frame extractor is a high-quality product that is a perfect option for beekeepers with 1-10 hives. The unit can handle up to 2 standard deep, medium, or shallow frames. It is constructed of stainless steel which makes it resistant to rust and durable. An interesting characteristic is that the unit comes with a plastic lid which enables easy monitoring of the extraction process. Its steel sealed bearings and gears allow easy spinning to extract the honey with little effort. 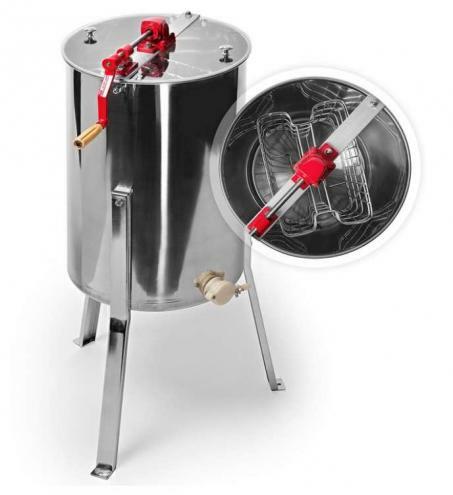 What makes the Honey Keeper Pro 2 Frame extractor stand out among similar products are versatile legs made of stainless steel. The legs can be attached to the floor to raise the barrel up to 15 inches from the floor, or removed to enable tabletop use. The design allows a perfect fit for a 5-gallon bucket under the extractor, so draining doesn’t require changing the bucket often. Furthermore, the extractor can easily be cleaned using warm soapy water. 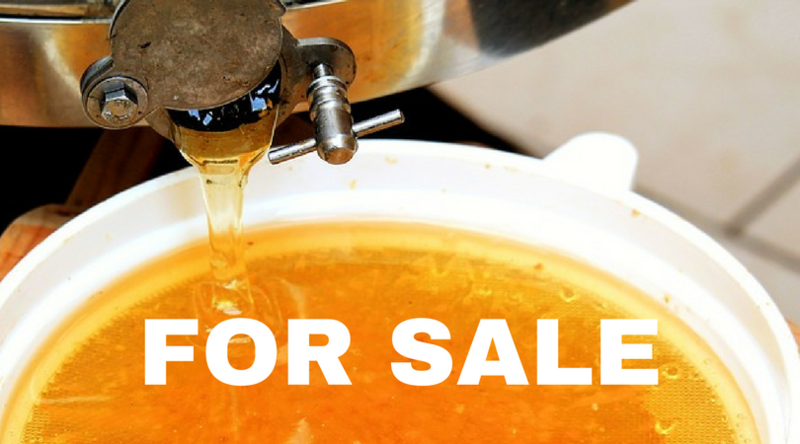 Before you buy your honey extractor, evaluate its features and compare various brands. That way you will be able to find out which extractor would satisfy your needs the most. Since the honey extractor is an essential device for any beekeeper, the main things you should be looking for are durability and efficiency. 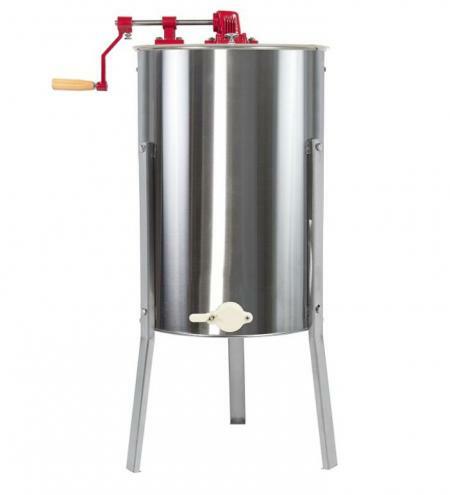 A good quality extractor will last you many seasons and will help you extract honey in no time.